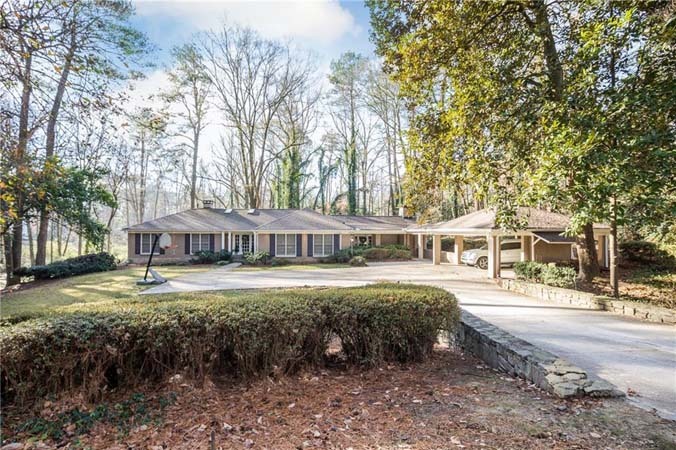 This very private lot of one acre in the heart of Buckhead has a commanding presence above the street. It features a walk out back yard, space for a pool and a daylight basement. This proposed home was designed by Bill Harrison Designs with the master suite on main. Nestled on over two pristine acres in the Warren T. Jackson Elementary School district, this gorgeous home has been thoughtfully updated with a sophisticated interior renovation by Southern Ridge Designs and an exterior pool and landscape design by Graham Pittman taking full advantage of the spectacular skyline views. 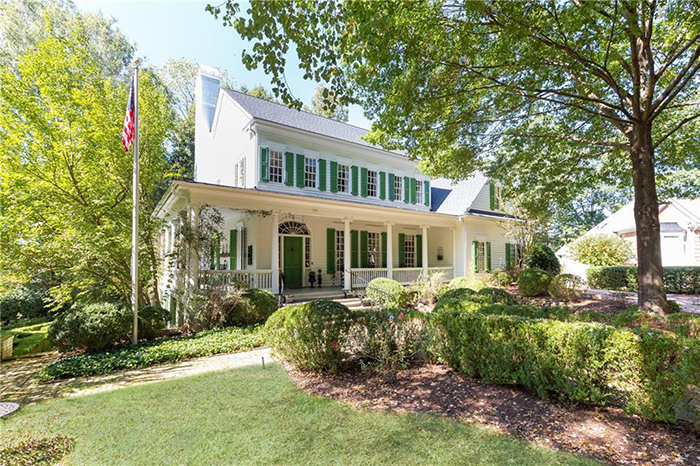 This storybook masterpiece estate home built in 1996 captures the charm of a 19th century plantation farmhouse while providing all of today's amenities. It has had only two owners. The first spared no expense on period details, while the second took the home to a new level with updates including an incredible gourmet kitchen. This grand, light-filled home in Gates of Glenridge is made for entertaining with an open floor plan, chef's kitchen with two dishwashers, double ovens, breakfast area and bar. It has a walk out flat backyard with room for pool. 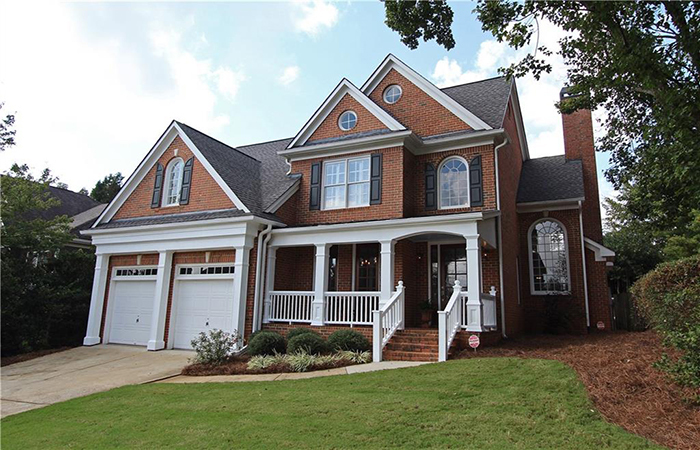 The foyer leads to spacious living room boasting two story windows and a formal dining room. 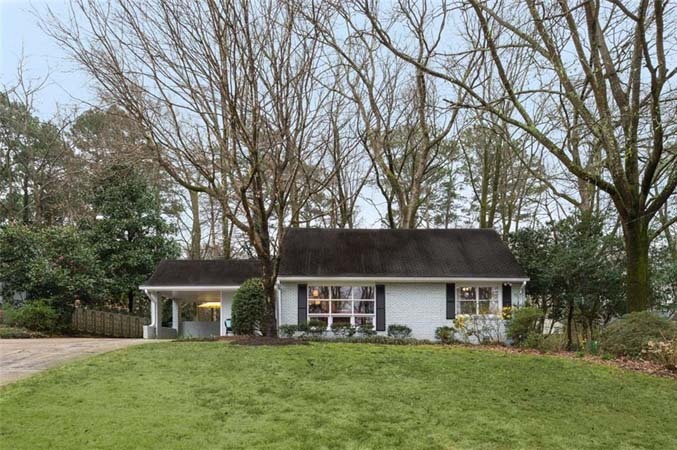 Rare opportunity to build on a 1 acre lost in the heart of Buckhead. 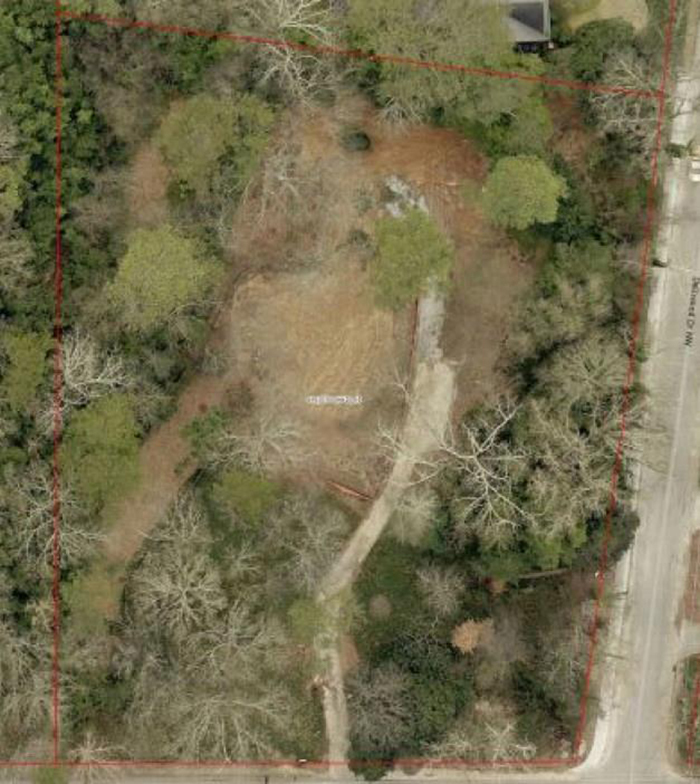 This private lot gently slopes up from the road and has mature hardwoods. Deep lot allows building site to sit off road and can accommodate a pool and walk out basement. Houseplans by Harrison Design are available. 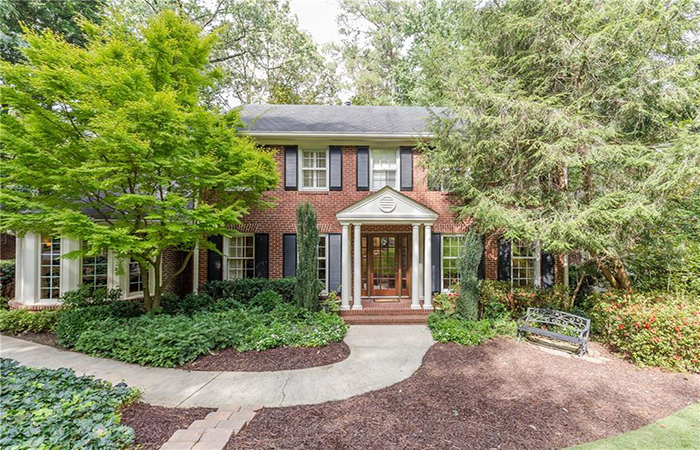 This charming all brick home in Haynes Manor has an open floorplan and beautiful hardwoods. The main floor has open entry, separate formal living and dining rooms as well as an open kitchen with a breakfast area, high end appliances, and views onto lush, professionally landscaped yard. 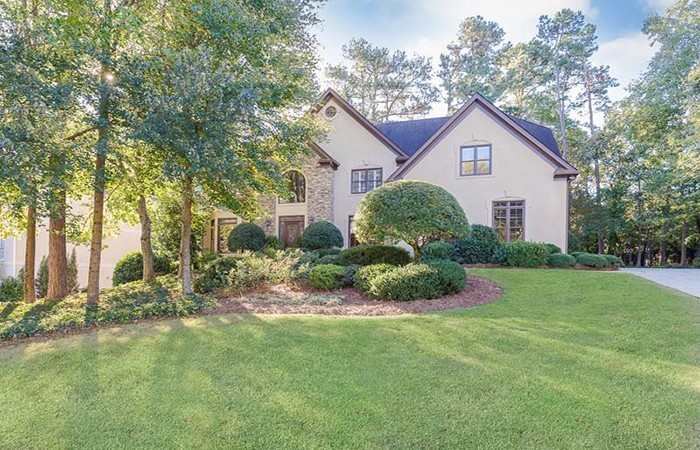 This wonderful light-filled home in one of John's Creek's most desirable neighborhoods, Foxworth, has four spacious bedrooms with good closet space, three bathrooms. The master suite has hardwood floors, trey ceilings and dynamite renovated bathroom. This fantastic has tons of costume upgrades including mahogany doors and windows, kitchen with Sub Zero refrigerator, stainless steele appliances and ‘bespoken’ cabinets built with pullouts. 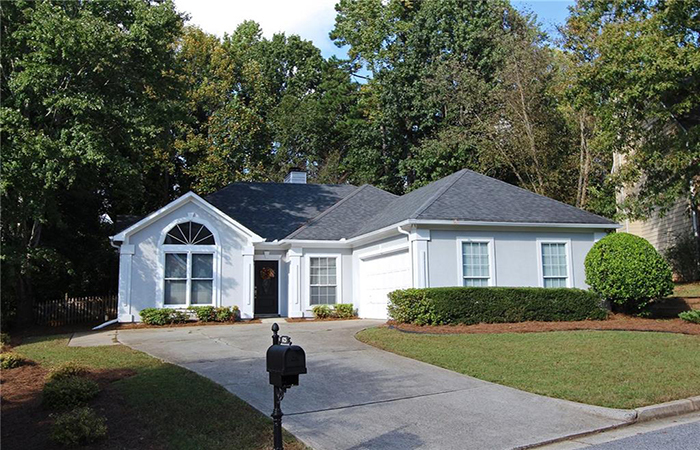 It has an inviting screened-in porch, which can be converted to a sunroom. It has a large patio overlooking a private backyard with a pondless waterfall and night lighting. This wonderful move-in ready three bedroom/two bathroom home located on quiet cul-de-sac has recent updates including new HVAC, interior/exterior paint, carpet, master bath refresh plus many more. It has high ceilings and natural sunlight throughout as well as an eat-in kitchen with breakfast bar. 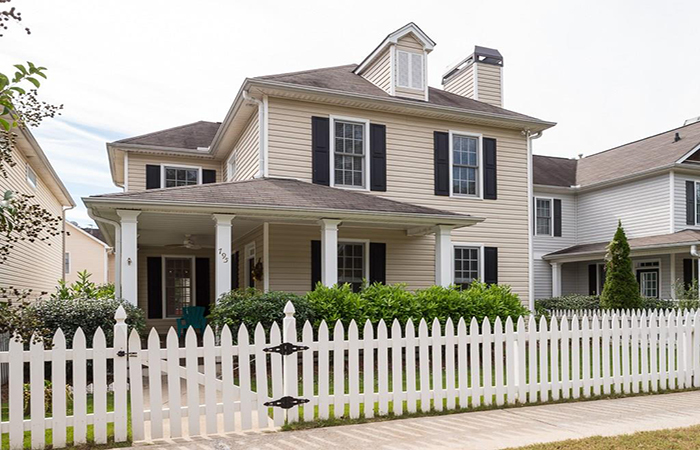 This traditional home with a spacious rocking chair front porch is in a charming community with a central park, gazebo, playground and pool. It has all the charm of a Seaside cottage in a desirable East Cobb location with high ceilings, hardwood floors and east entertainment flow. 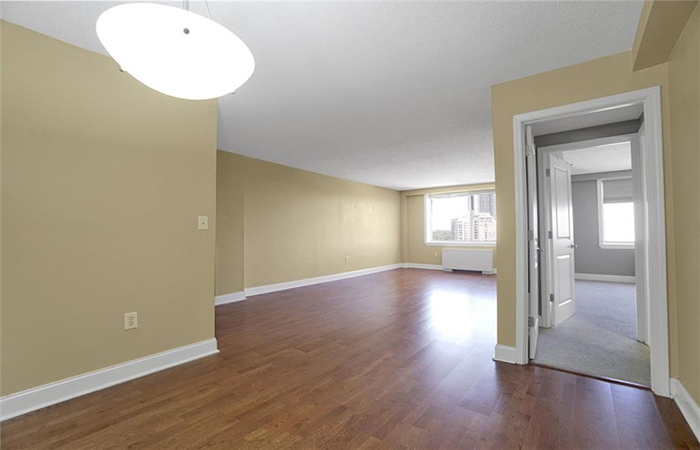 This beautiful updated unit located in Buckhead has a great floorplan with hardwood floors, gourmet kitchen with granite countertops, stainless steel appliances, large separate dining room and custom built-in cabinets in all rooms including bathrooms. 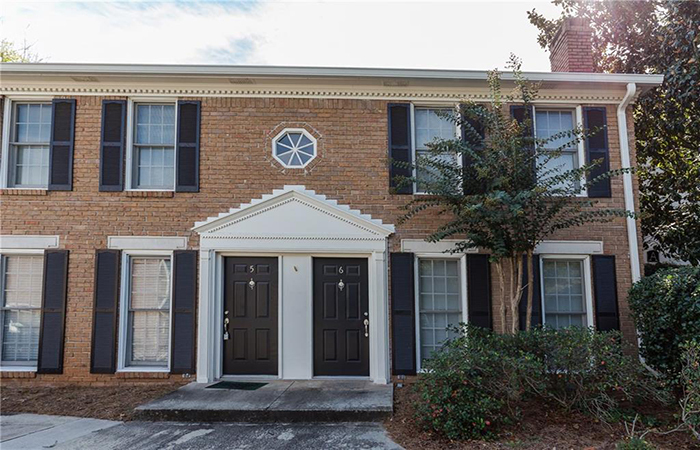 This end unit two-story unit has hardwoods on the main level, kitchen with stainless appliances and granite counters, living room with fireplace, dining area and a private fenced in patio off kitchen. 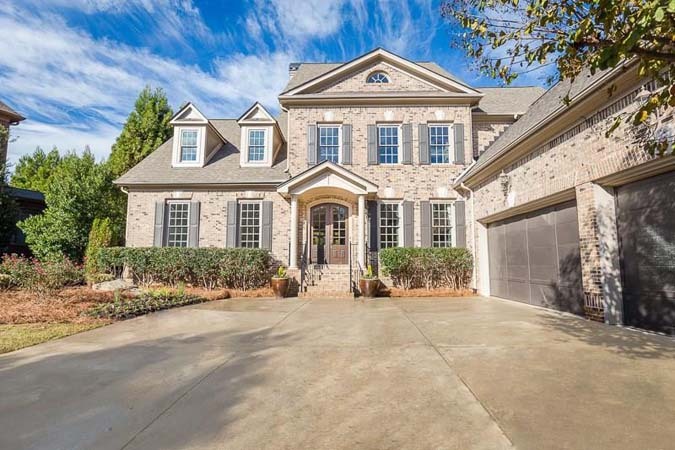 The gated community offers easy access to I-75/85, restaurants and shops in Midtown and Buckhead. 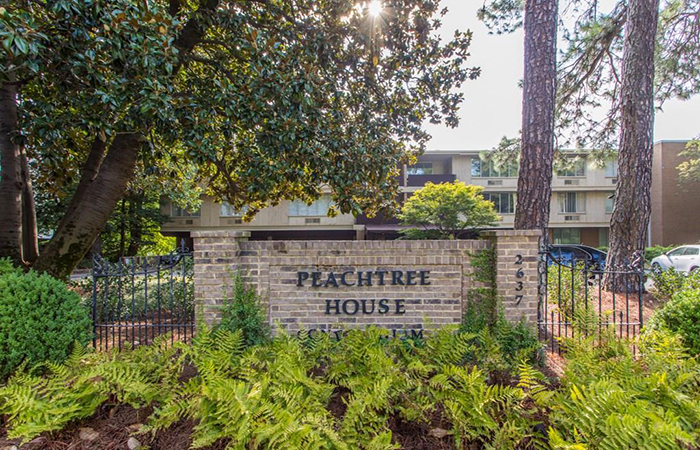 Location, location, location, This wonderful, second floor unit at Slaton Manor features two bedrooms, two bathrooms, and is walkable to all Buckhead has to offer. The unit features hardwood floors throughout, a huge living room that opens to a wonderful kitchen that features white cabinetry, microwave, disposal, refrigerator and range. HOA fees include all utilities. This premiere location features panoramic, unobstructed views of the Buckhead skyline from this 16th floor unit. It has been fully updated with gleaming hardwoods. The kitchen has black granite counters, stained cabinets and tile backsplash and the master bedroom has a walk-in closet and a bathroom with granite, tile and wood cabinets.